NOW IN STOCK AND TAKING ORDERS! 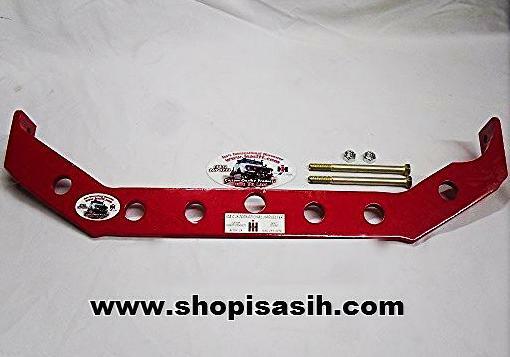 BTL Hydraulic Hood Strut kit for ALL 1961-1971 Scout 80,800,A,B. No more needing to wrestle that heavy hood up and struggle with the prop rod. Lifts your hood up for you and securely holds it in place until you are ready to close it. Simply unlatch the hood, give a slight lift and let the struts do the rest. To close, Simply push-hold safety button on the Safety Strut Spring and pull down on the hood brace and let hood drop to latch..An excellent helper for those of you with a lifted Scout 80 or 800,A,B. Upper brackets install with stainless steel button screws & lock washers for a clean finish. Lower brackets utilize original fender bolts. Includes all necessary brackets,hardware and instructions. Simple install time of 30 minutes. 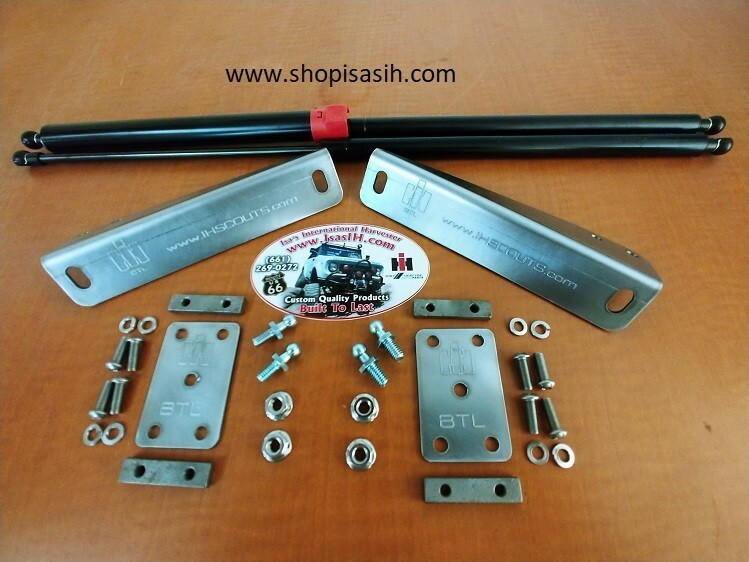 Push Button Safety Strut Spring and IH BTL logo engraving. Scout 800 Electric Wiper Conversion Kit. Replace your old Vacuum Wipers with New Technology. 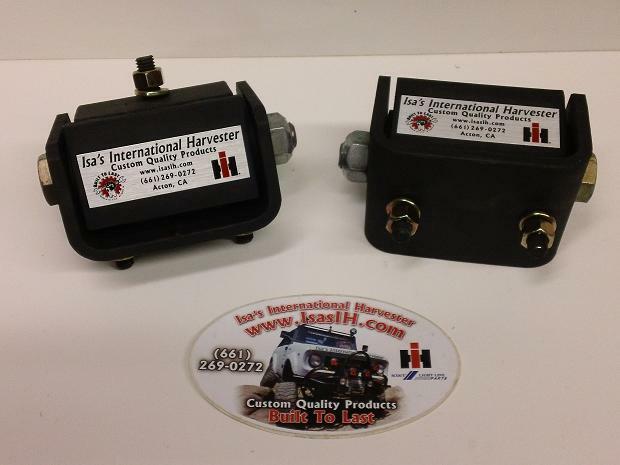 Bolt-in replacement for your original vacuum windshield wiper motors. ​The wiper conversion kit mounts below the windshield and utilizes the factory wiper holes to replace the individual vacuum wiper motors with a linkage driven system powering two wiper blades with one electric motor. The kit is designed to clear the original gauges, radio, speaker and original or aftermarket glove box. The kit utilizes a heavy duty two speed self-parking 12V motor,mounting brackets,bronze oilite bushed wiper transmissions, linkage arms, escutcheon plates, and polished stainless steel wiper arms and blades. Optional features include an intermittent delay switch and washer pump kit. (BTL) Built To Last, Engine Mounts, High Performance. Stronger then our competitors, Bullet proof compared to the original mounts. Scout 800 with V8 or Scout II with V8, 4cyl, or diesel engine. The cause of much of your tracking problems may lie in the fatiguing of the frame at the steering gear. The stress loads caused by the way the engine mounts to the frame and those imposed by the steering gear over the past 30+ years or so results in fatigue of the frame to the extent it becomes an unsturdy mount. To check this, have someone turn the steering wheel and watch the steering gear (it will probably wobble). Also, if you experience major handling problems in a crosswind, this may be your problem. The "Straight Steer" Brace eliminates this problem by stabilizing the mounting of the steering gear. Improving handling to the point you will be able to tell if the steering gear is worn.